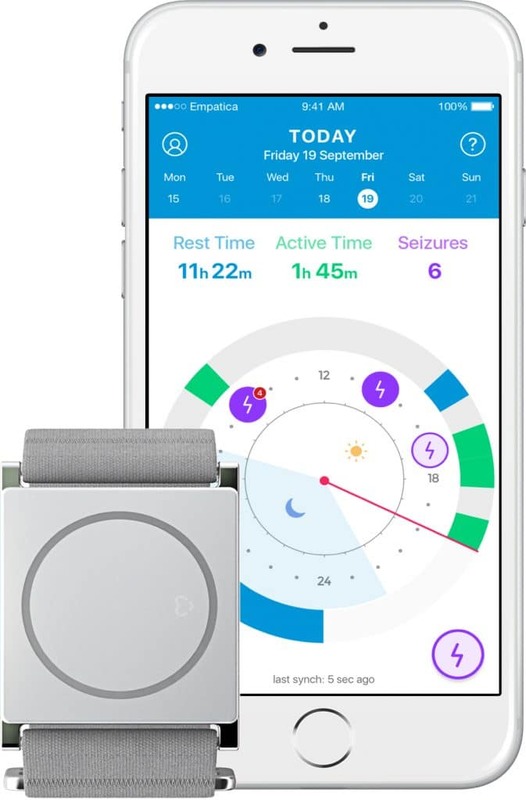 The US Food and Drug Administration (FDA) has approved the Embrace smartwatch—a wearable device that can track generalized tonic-clonic seizures and aid in epilepsy management. The Empatica Inc. product can also send an alert to a caregiver when a seizure is detected, allowing help to reach patients with epilepsy quickly. The smartwatch uses advanced machine learning to monitor for seizures. It was approved by the European Medical Agency in April 2017. According to estimates from the Centers for Disease Control and Prevention (CDC), more than 3 million patients have epilepsy in the US, almost half a million of which are children. Roughly 35% of these patients do not respond to medication. "The FDA approval of the Embrace device to detect major convulsive seizures represents a major milestone in the care of epilepsy patients,” Orrin Devinsky, MD, the director of the Comprehensive Epilepsy Center at New York University, said in a statement. “Tragically, more than 3000 Americans die each year from Sudden Unexpected Death in Epilepsy (SUDEP) and the Embrace offers the potential to alarm family members and caretakers that a tonic-clonic seizure is occurring. The scientific evidence strongly supports that prompt attention during or shortly after these convulsive seizures can be life-saving in many cases." FDA approval was granted based on a multicenter clinical trial of 135 patients with epilepsy that had been admitted for continuous monitoring via video electroencephalography (EEG) over the course of 272 days. The patients were also given the Embrace smartwatch to wear simultaneously. The trial recorded more than 6,500 hours of data, including 40 generalized tonic-clonic seizures—which the Embrace smartwatch detected with 100% accuracy. In order to determine the efficacy, the seizures needed to clinically be affirmed and agreed upon by at least 2 of 3 independent epileptologists, who made their assessments without access to the Embrace data. The smartwatch utilizes electrodermal activity signals to determine sympathetic nervous system activity. This activity sensor serves as somewhat of an alternative to a biomarker, and as a definite alternative to wearing an EEG, allowing for easier monitoring of these patients. The Clinical Focus page at NeurologyLive, MD Magazine's new sister site, provides even more extensive coverage from the field of epilepsy, as well as the latest data and research from the field’s most attended conferences.